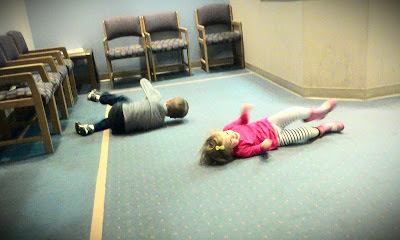 At least there were no shots to contend with during our visit. Speaking of my punks, this week I came across this reassuring post on Gail Werner's website. It made me feel a lot less guilty over trying to scale down on all of the birthday hoopla with the kids. Me sandwiched right between superfast teammates Kate Grace (winning the Grand Blue Mile) and Jen Bigham. NBD. 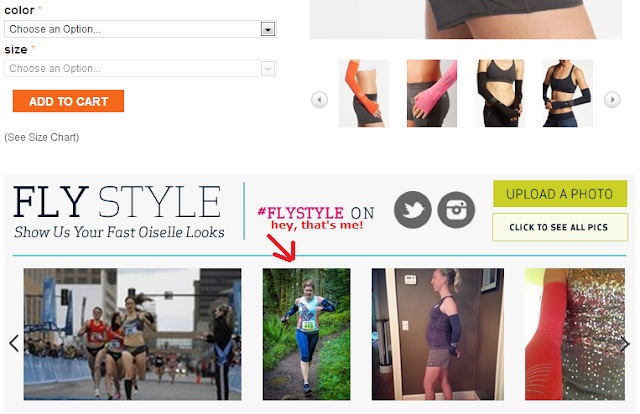 So, if you tag yourself sporting Oiselle duds with #FlyStle on Twitter, it will show up on the homepage and in the #FlyStyle gallery. 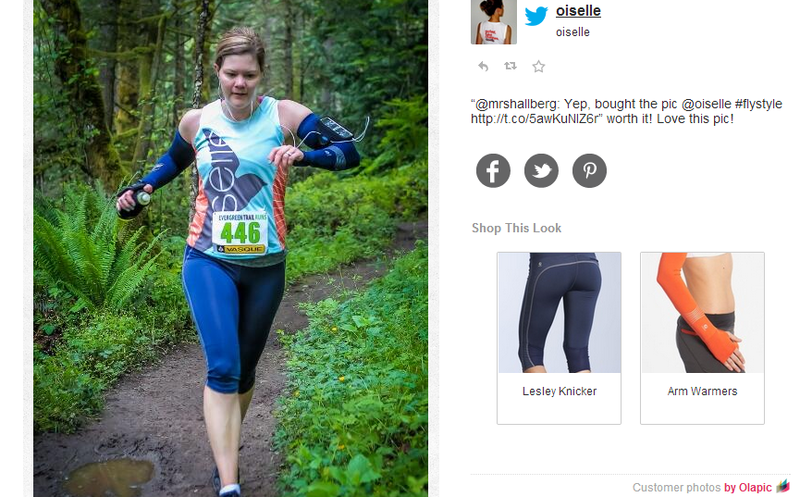 I didn't realize that they were also tagging specific clothing items and that pics come up while shopping said items. SO COOL. You can shop the look! In fact, I was having a crappy run just this morning! I wanted to get 7 in, but barely mustered 5, when just the other day a 5 mile interval workout seemed like a walk in the park. Anyhow, I ran past two lady runners and did the usual smile and nod to the brethren when one looked like she knew me and gave a really enthusiastic hello! Aaaah, that's always fun. But, for the life of me I couldn't place the face as I went through the rolodex of faces in my head: school, preschool, Y, Soccer, old workplace, Eastside running...? Was it you?? Sorry if I didn't stop - I was afraid I'd never start again if I did! The prancercise video made me laugh so hard. Hilarious! Is that prancercise video for real?! My question is what the heck is she wearing? Daytime luncheon on top and workout pants on the bottom? So funny!